THOSE clamoring for the resignation of Senate President, Bukola Saraki, because he defected to the People’s Democratic Party should know that it is unconstitutional to even say he should resign, Ahmed Makarfi, one of the PDP Presidential aspirants has said. Makarfi advised all crucifiers of Saraki, to leave him alone as Senate President irrespective of the party he belongs to, adding that it is lawful, constitutional and democratic. He maintained that Saraki, Senator Ike Ekweremadu, and Yakubu Dogara were elected based on the provisions of the constitution and not based on party.He made this known on Saturday during his visit to the PDP Secretariat in Minna as he continued his presidential campaign for the forthcoming PDP primaries. 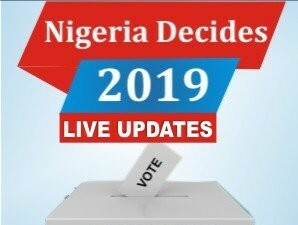 “The position of the presiding officers of the National Assembly, based on the constitution of Nigeria is an election of one among equals based on voting irrespective of party affiliation. The constitution said that the Senators are to elect among themselves, it did not say that it must be from a majority party.